There is no denying magic begins the instant you walk through the gates of Walt Disney World ® but without a little prep and planning before you get to the Orlando theme park you could be missing out on an even more magical vacation. Best of Orlando has compiled a list of five things you should do BEFORE you get to Walt Disney World ® to ensure you get the most out of your visit. 1. 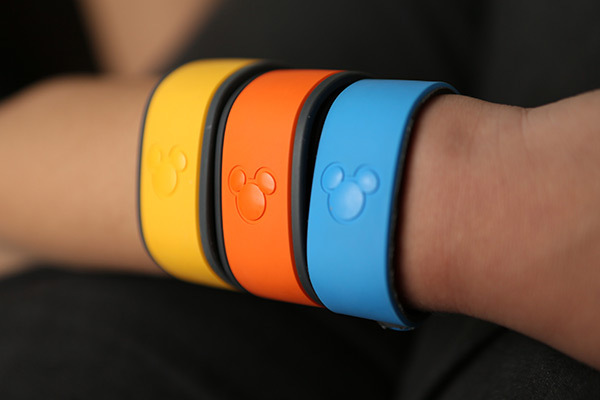 Order Magic Bands if staying at a Walt Disney World Resort ® - Worn around your wrist, these bands serve as your theme park tickets, Fastpasses and room key. With just one swipe of your band you can open your room door, charge things and manage many FastPasses without the use of an actual card. It’s very magical and very convenient when you don’t want to spend your day fumbling around in your purse or wallet for different cards, keys and cash. If you order them at least 10 days before you Walt Disney World Resort stay, you'll be able to customize the color and have your names inscribed on the back of the MagicBands. They'll also be shipped to your home address, so can be ready to go to the parks as soon as you arrive... just don't forget them at home. 2. Do early online Check-In – The most efficient way to check into your Walt Disney World Resort is to do it before you even get there. Guests can check in 60 days before your stay. When you finally do arrive, simply head to the Online Check-In Desk and grab your Welcome Folder and Key to the World card. No waiting in line or standing at the desk, just grab your things and go! And to make checking-out more efficient just look for one of the resort representatives with a tablet device. 3. Reserve your FastPass+ selections – Now you can lock in some of your favorite Disney ® experiences before your visit. Choose from more than double the previous number of experiences and skip the standby queue. Just like early Check-In you have 60 days to reserve your FastPasses prior to hitting the park. And if your plans change, you can update your FastPass+ selections on the go. Guests can experience the new FastPass+ service when you book a stay at select Walt Disney World Resort hotels. 4. Stay Up-to-Date – There’s so many seasonal events and limited time activities that Walt Disney World has throughout the year from the Food and Wine Festival to Star Wars Weekends to Marathon Weekends! Try to keep up-to-date on all things Disney before you go. Remember to check your kid’s height and review the Disney World Height Requirements, so you don’t waste time scheduling FastPass+ entries to rides you won’t be able to ride. And, it’s also a good idea to take a look at some of the prohibited items you won’t be able to bring to the parks. Some are obvious, but other could be less so, so take a look. You wouldn’t want to have to return to the car to return the item once you get to the gates or have to turn your shirt inside out. Follow BestofOrlando.com, and we’ll keep you in the know. 5. Consider the Photo package - Capture your magical experiences throughout your Disney vacation with the Disney PhotoPass Service. For just $150 guests will be able to snap as many Disney PhotoPass pictures as you want with a Disney PhotoPass photographer, including all ride photos. Then you’ll be able to claim your photos via an online account you recreate before or after your vacation. You’ll then be able to go online to view and edit all photos!